Word for Today: We are wonderfully made. 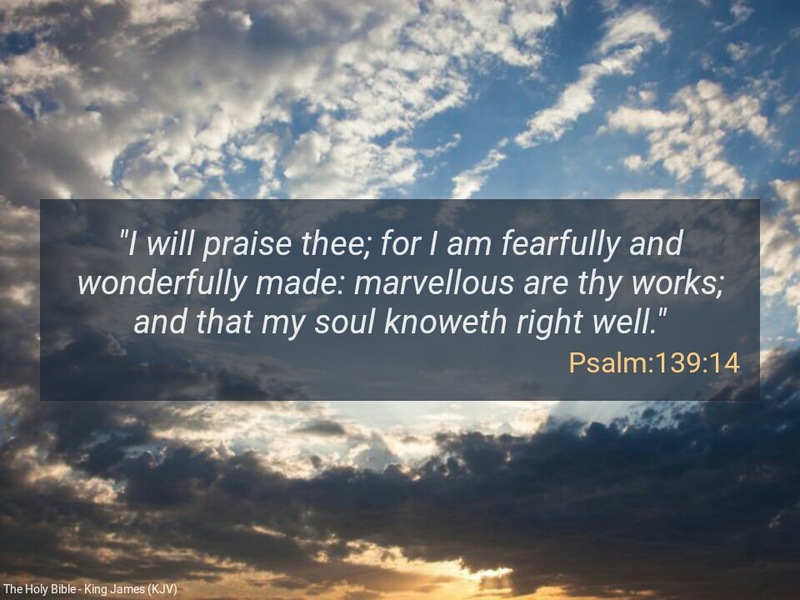 “I will praise thee; for I am fearfully and wonderfully made: marvellous are thy works; and that my soul knoweth right well” (Psalm 139:14). Our life in Christ Jesus is not meant to be ordinarily. We have been recreated in Christ Jesus for the works of the kingdom of God. We have been recreated to demonstrate power, dominion, integrity, compassion, love, signs and wonders. We have been recreated for uniqueness. In Christ, we are extraordinary beings. “So shall the congregation of the people compass thee about: for their sakes therefore return thou on high” ( Psalm 7:7). Stay connected to God through His word and endeavour to grow your faith. God wants to do His marvellous works through you. “Behold ye among the heathen, and regard, and wonder marvellously: for I will work a work in your days, which ye will not believe, though it be told you” ( Habakkuk 1:5). Thank you Jesus. Jesus is Lord. Previous Previous post: Word for Today: There is None like Jesus Christ. Next Next post: Word for Today: Let’s give thanks to God always.